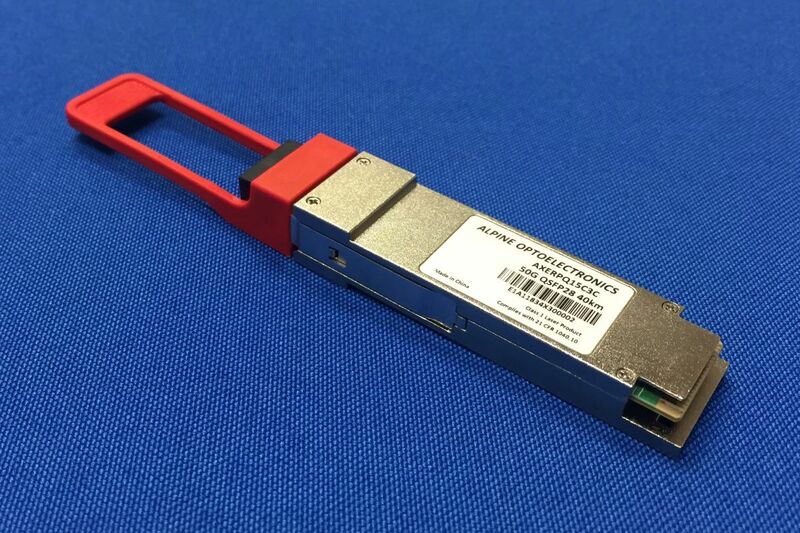 Alpine Optoelectronics’ 50G QSFP28 pluggable optical transceiver module is designed to meet the 50GBASE-ER standard for up to 40km distance over standard G.652 single mode optical fibers (SMF). KP4 FEC function is integrated into the module as a value-added optional function, so this module is especially useful for systems without FEC. The module’s transmitter is Laser Class 1 compliant according to International Safety Standard IEC-60825. The receiver section uses an APD detector. Digital diagnostics functions are available via the I2C interface as specified by QSFP28 MSA specification SFF-8636.